Having someone go through your home or business can be a bit uncomfortable. You have belongings that are fragile or important you do not want stolen or damaged. When you hire professional cleaners, you do not want to pay good money for a job that is only half done. Fast Cleaners Barnet understands all this and has provisions for your concerns in place. Our cleaning company would never send anyone to your home that has not had a background check. While we have complete faith in our employees, we understand you do not know them. To give you peace of mind, if there is ever a problem with employee dishonesty, we have fidelity insurance in place to cover any losses. Everyone knows that accidents do happen. Any time any belongings or property is damaged due to something done by anyone performing a service on behalf of our company, our insurance will compensate you for the loss. Our business relies heavily on good customer relations and recommendations. We want you to be happy with our work. If there is ever a problem with the job not being completed, the surety bond can prove to you that we have the employees, and the funds to finish the job. 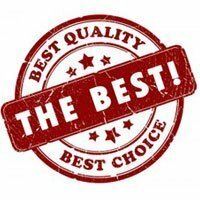 Our guarantee states that if you are not happy with the work that was done, we will, at no extra cost to you, return to do the job again. When you hire Fast Cleaners Barnet to do a job, you can be sure it will be done quickly and efficiently. Our cleaners are all dedicated professionals who take pride in a job well done. We only provide quality cleaning services to all our clients and we make sure that our cleaning prices are within your budget. No matter where you are in the London area, we will do your cleaning. Our staff have the training and experience needed to make short order of your cleaning needs. Phone us on 020 3322 8598.